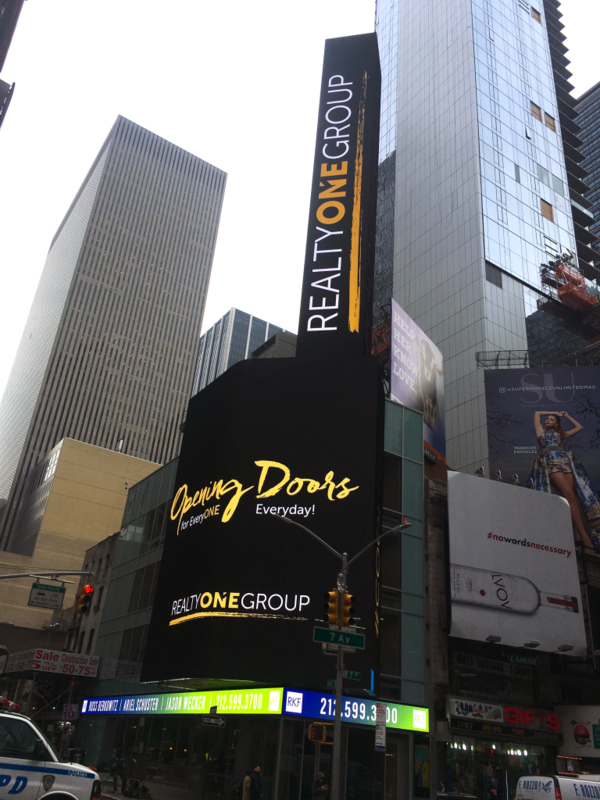 Realty ONE Group, one of the leading and fastest-growing independent firms in the North American residential real estate landscape, has launched its largest advertising campaign to date this week, with a media blast throughout New York City’s iconic Times Square district—the largest coordinated campaign in Times Square ever purchased by a real estate brand, according to a company release. 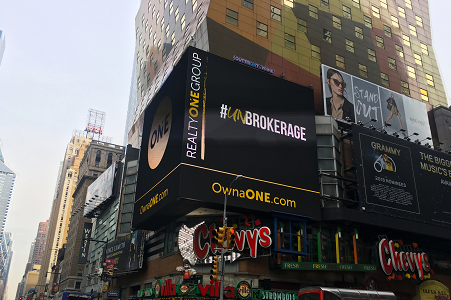 The campaign connects Realty ONE Group with thousands of real estate professionals, while simultaneously bringing high-level attention to the brand’s “coolture” and untraditional business model. 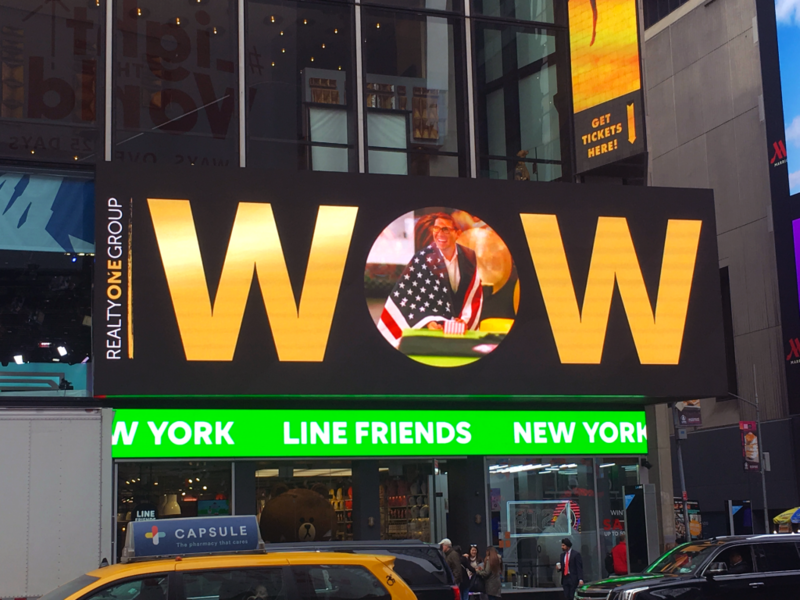 The campaign coincides with the start of an industry conference of more than 4,000 real estate and technology professionals, hosted at Marriott Marquis Times Square Jan. 22-26. The campaign includes five unique 15-second videos that will broadcast on digital billboards above Times Square—and the conference itself—a total of 20,000 times during the week. 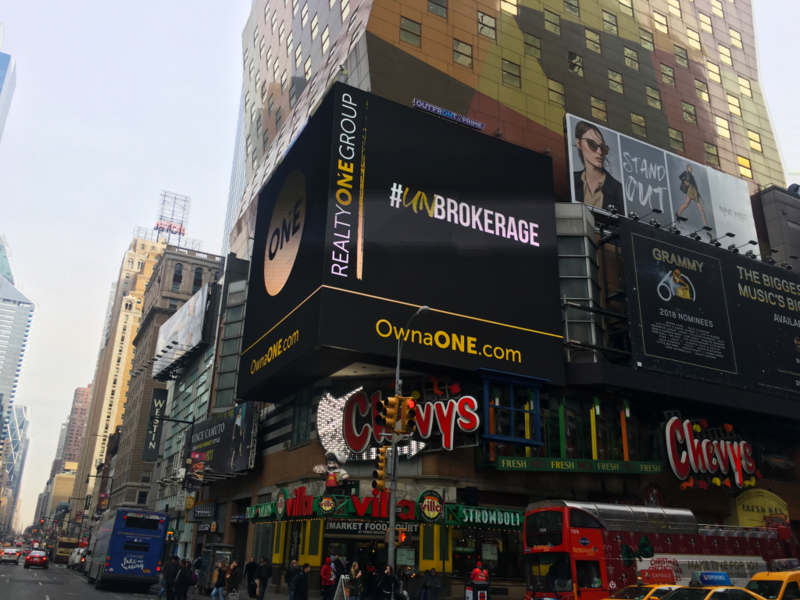 Based in Irvine, Calif., Jewgieniew built Realty ONE Group into a national company of more than 110 locations and 10,000 real estate professionals generating a total of $21 billion in sales volume in 2017. 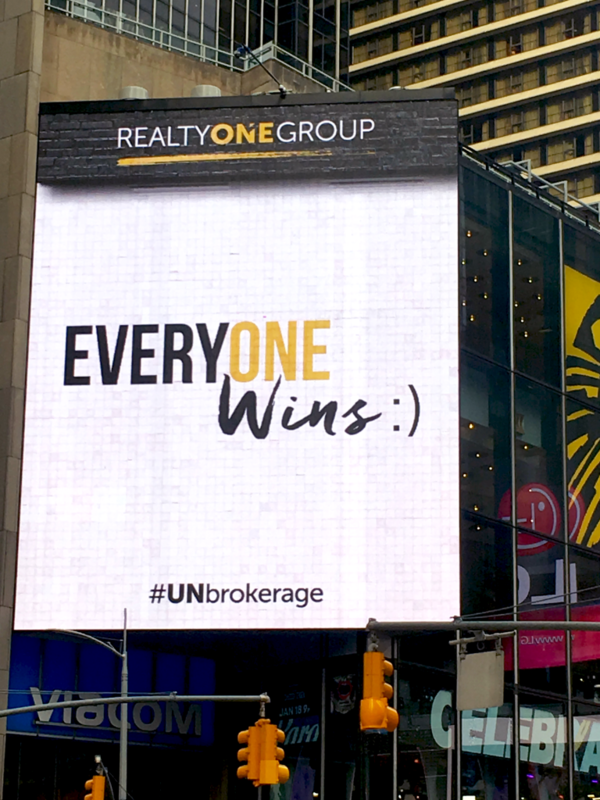 A key factor in its success is the company’s YOU-First Focus—putting real estate professionals first by engaging in high-tech partnerships, providing industry-leading branding support, and a unique and untraditional business model. 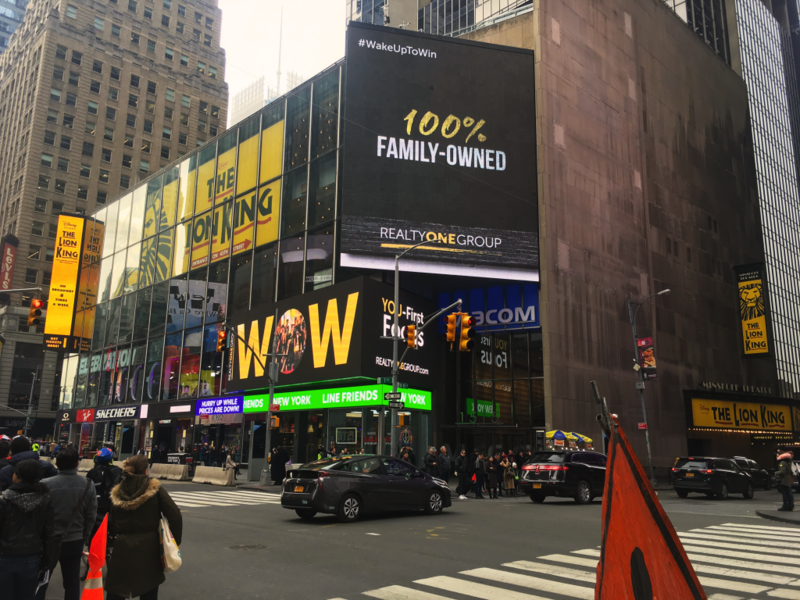 Recently, Realty ONE Group was ranked by Entrepreneur magazine as a Top 5 real estate franchise in the publication’s Franchise 500 list, according to the release. The brand was on the cover of RISMedia’s Real Estate magazine in June. For more information, please visit ownaone.com.